A slow start to the month. 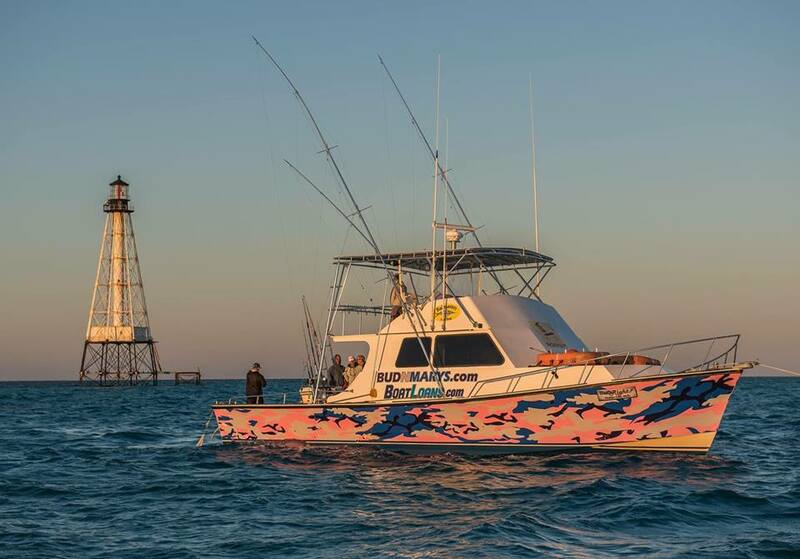 I am preparing for the White Marlin open, can’t wait. Fishing has been slow. We have caught a few dolphin, a yellowfin ,a couple of white marlin and some under bluefin so far this month. WMO will start this week. I would like to take a minute and let all know that “That’s Right” is official up for sale. The reason for this move is to allow me to have a new Boat built!! I’m not done nor am I finished Charter fishing. 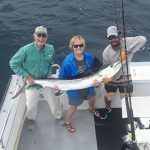 Just wanted all to know, I certainly don’t need any false rumors going around. .
Our WMO consisted of 1 small blue released and a few released white marlin. Very little in the way of meat fish. 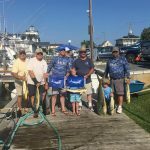 August tuna fishing has been slow but tournament time keeps us busy and happy. 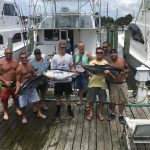 We have been catching some dolphin and the white marlin have shown up in good numbers. 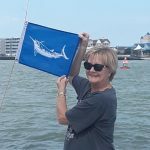 One happy lady got her first white marlin release which was part of her wish list. We had a good first day in the poor girls open,. 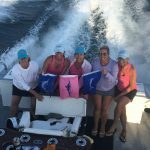 The ladies went 3 for 3 on white marlin. The lead boat has 5 releases. No large fish to weigh in. 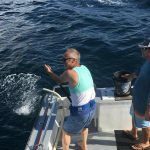 We had fun and had some white marlin releases. Thursday was a hard rough day.